The most capable engine oil and filtration monitoring system available today, exclusive to Fleetguard filters. Through intelligent sensing and data analytics, award-winning FleetguardFIT provides real-time status updates of Fleetguard filters in your equipment so maintenance can be based on real-world conditions rather than guesswork. To learn more about FleetguardFIT and how to get it onto your engine, contact us at info@fleetguardfit.com. Cummins Filtration has been awarded Heavy Duty Trucking’s “Top 20 Products for 2019” award for FleetguardFIT, the industry’s first complete real-time filtration monitoring system. This award recognizes FleetguardFIT for its innovation, potential to address significant industry issues and its ability to help a fleet’s bottom line. 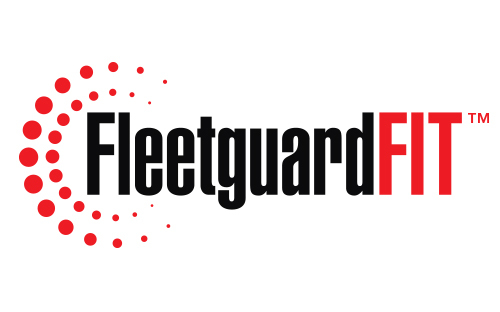 In addition, FleetguardFIT was also recognized by Diesel Progress as a “Notable Product for 2018” for its unique ability to instantly monitor air, fuel and lube filters, as well as oil condition. Beyond providing customers with full visibility to the overall oil and filtration health of their equipment, FleetguardFIT also helps indicate engine or equipment issues through sensing and advanced analytics of the filter’s performance. Early problem detection reduces customer downtime and extends equipment life for FleetguardFIT customers. Cummins Filtration continues to enhance our line of intelligent products that work with any telematics communication device upon integration. FleetguardFIT delivers value to multiple applications in a variety of on- and off-highway markets, including truck, bus, mining, oil & gas and construction among others. FleetguardFIT™ revolutionizes conventional maintenance by enabling the key decision makers to better predict downtime, synchronize service events and optimize maintenance spend.